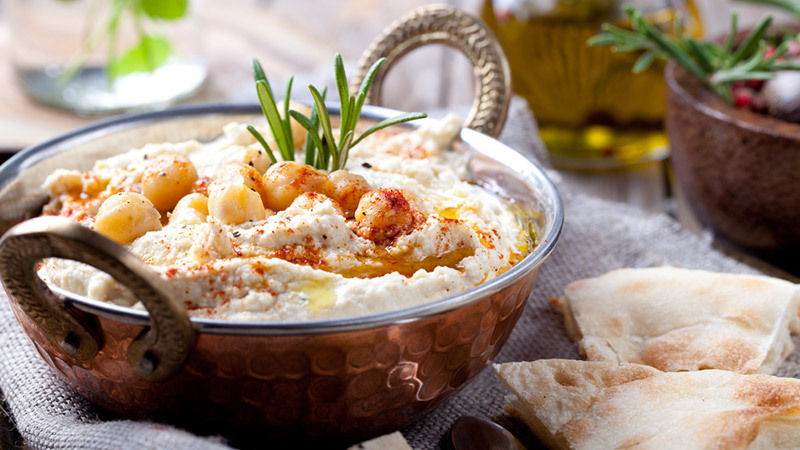 Hummus dip is one of the big health food fads of recent times, and to be sure, there are a lot of reasons to love hummus! Here are 10 reasons to enjoy this Middle Eastern dish. 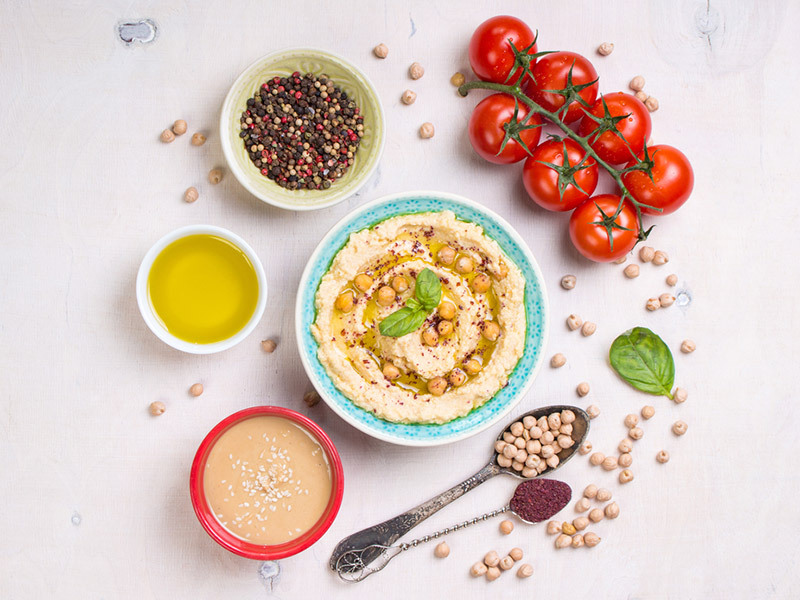 As part of the famed Mediterranean diet, studies from the National Health and Nutrition Examination Survey have associated hummus with healthy eating. 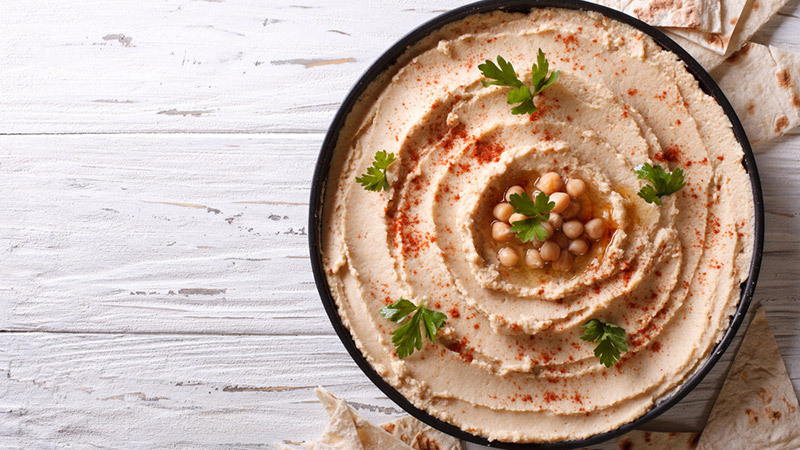 The data suggests that people who eat hummus eat more fibre, less unhealthy fats, more healthy fats, more fruits and vegetables, more whole grains, and less sugar than people who do not eat hummus. Studies also show that people who eat hummus are over 53% less likely to be obese than people who do not. Diets that are high in fibre have been linked to lowered cholesterol levels, increased heart health, improved digestive health, healthy blood sugar levels, and an increased ability to lose weight. Fibre is just another of the reasons to love hummus, because 1 cup of the dip contains 15 grams of fibre (59% of your RDA). 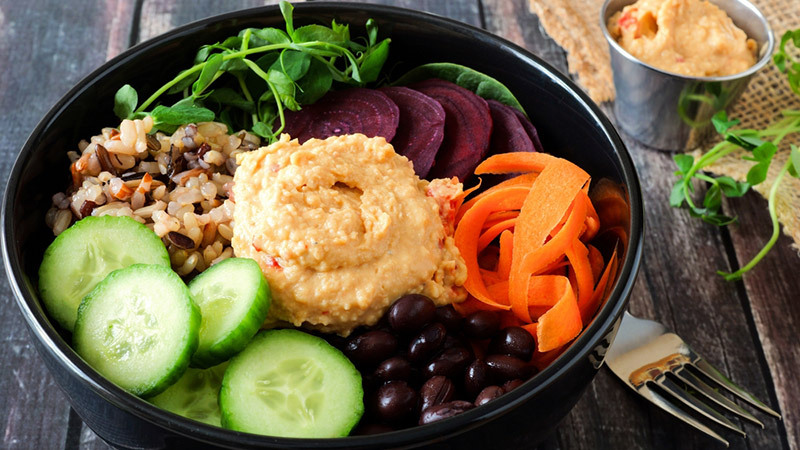 While you probably shouldn’t plan on getting all your dietary fibre from hummus (unless you plan on eating hummus by the cup), this is nonetheless much higher than many other dips that you could pick, not to mention it scores low on the Glycemic Index food index. The lower on the GI scale, the fewer spikes in blood sugar levels the food causes. Fibre does a good job of helping you feel full, which can help you to eat less. But a look at the nutrients in hummus reveals that fibre isn’t the only thing in the dip that has this effect. A cup of hummus dip also contains a whopping 19 grams of protein. In addition to helping maintain and build muscle, protein is helpful because it also promotes a feeling of fullness, and it’s especially helpful to have vegan versions on hand. Foods that contain folate may reduce the risk of colorectal cancers (like colon cancer). Furthermore, researchers believe dietary fibre helps promote the growth of healthy bacteria in the colon, which is also protective against cancer. The aforementioned cup of hummus will supply you with 33% of your RDA of iron, which makes it helpful for people (especially vegetarians or vegans) who are trying to avoid anemia. 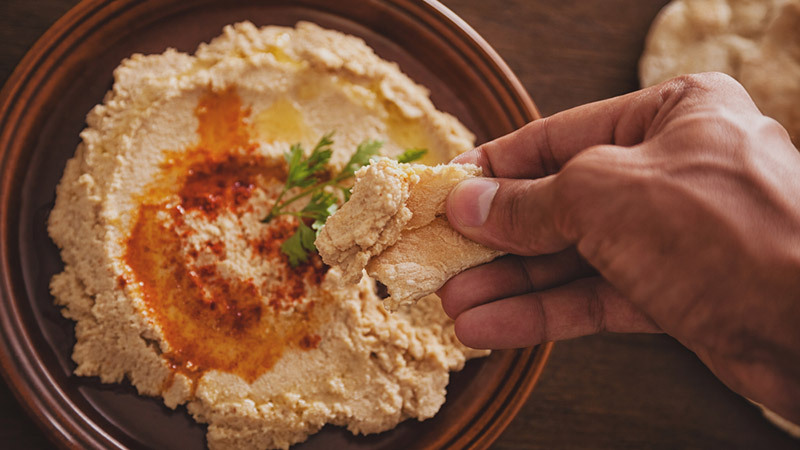 It contains 51% of your daily folate, which, as mentioned, may help to reduce one’s risk of pancreatic and other cancers, but that’s not all: Hummus is also a good source of thiamin, vitamin B6, manganese, copper, zinc, magnesium and phosphorous. 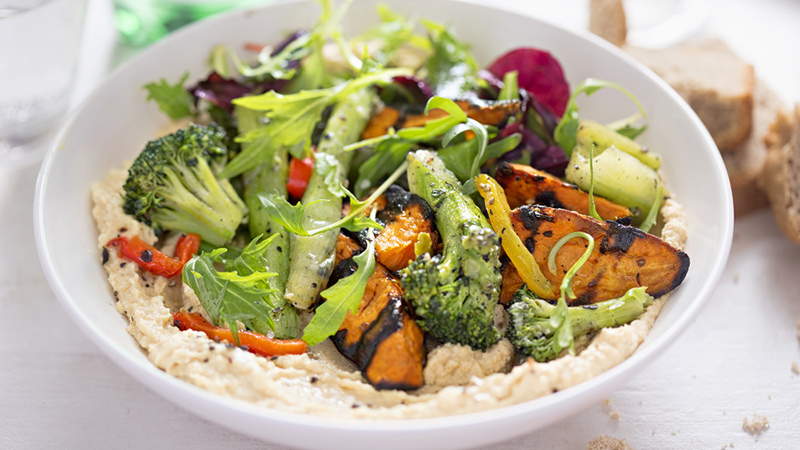 Eating healthy can sometimes feel awfully complicated, so it’s a real boon when there’s a bona fide health food that’s as easy as hummus. 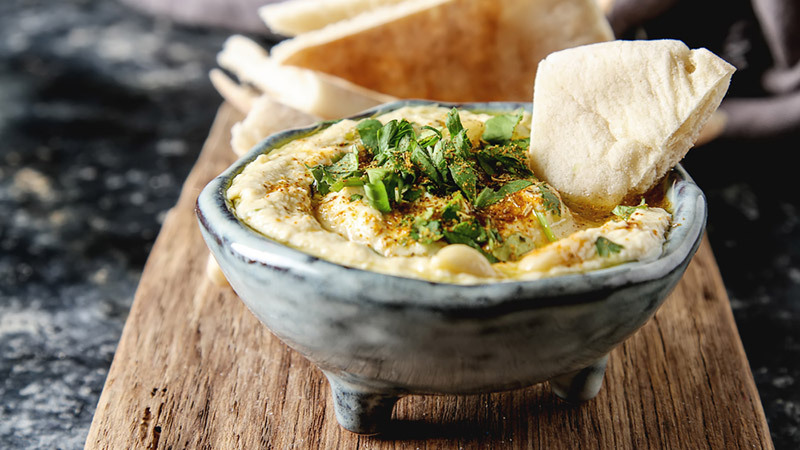 You can easily buy a healthy hummus dip pre-made at the store (just make sure you check the ingredients for additives), but why not make your own? All you need to make your own hummus is a food processor, a can of chickpeas, garlic clove, extra virgin olive oil, tahini, lemon juice and salt. Mmm! There’s a huge variety of different flavours of hummus, which means that you can eat a lot of the stuff before getting bored. 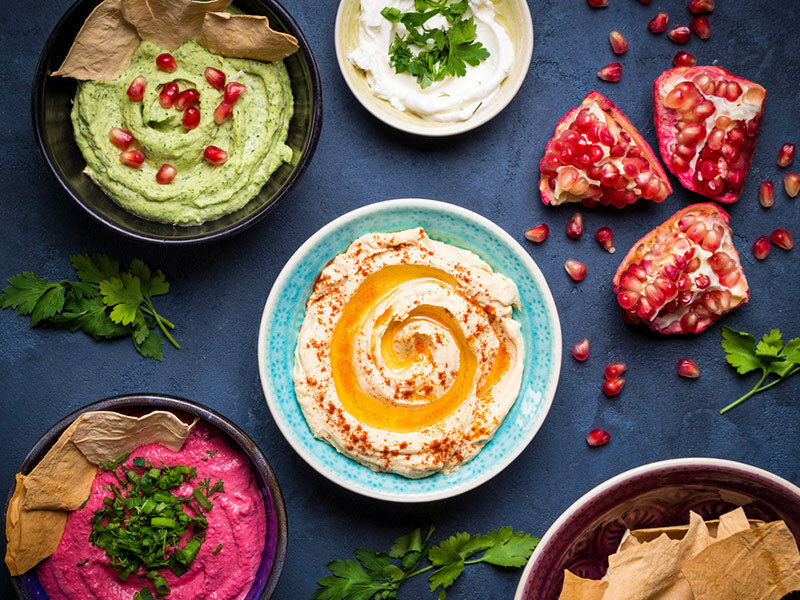 In additional to the “original” flavor, you’re bound to find recipes or brands that add avocado, jalapeno, lime, red pepper, roasted garlic, beets or even curry flavoring to your dip. You could whip up a new type of hummus every week without trying them all. In addition to being great as a dip for vegetables or pita chips, hummus can make a good dressing replacement. 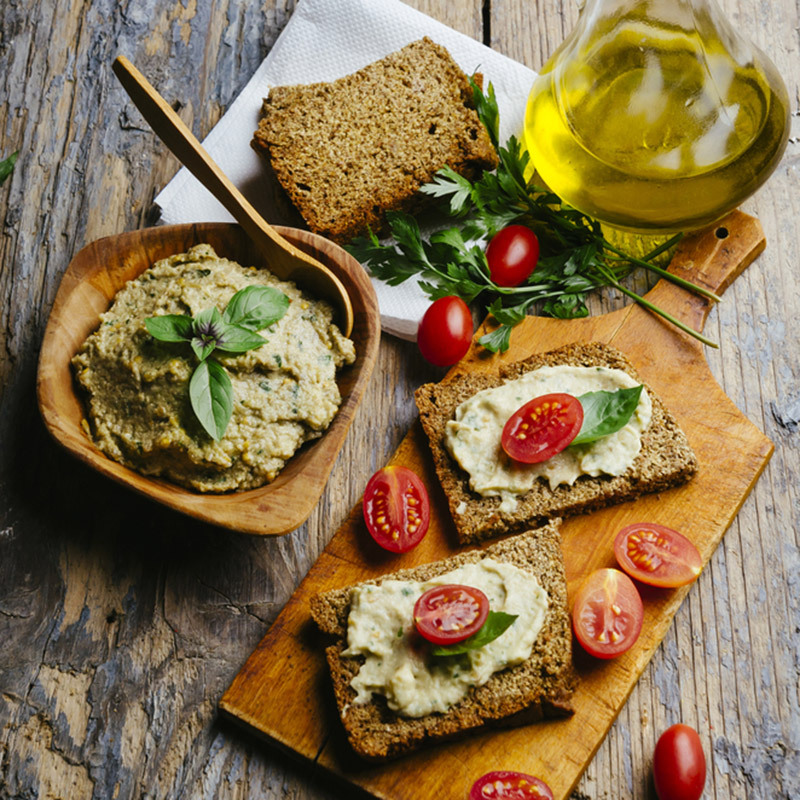 Replacing mayonnaise, ranch or other creamy dressings with a dollop of hummus and a drizzling of olive oil; not only will not only make your meal lower in calories, it will supply you with the wonderful nutrients and creamy texture of hummus. 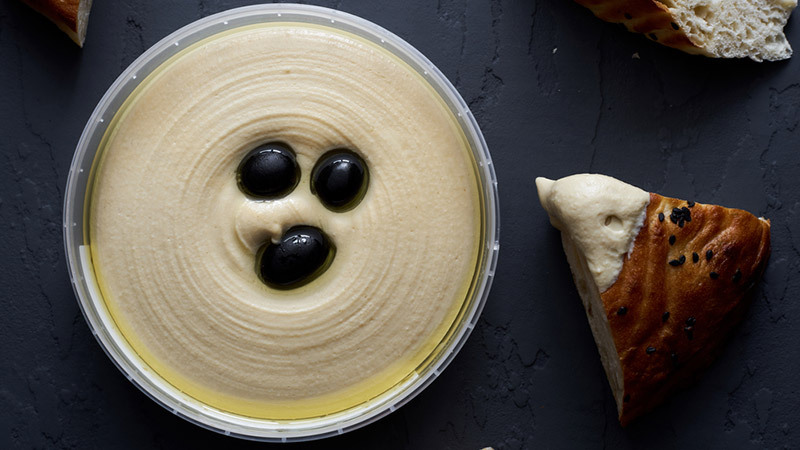 Nothing spreads easier (or tastes better) than hummus on a piece of artisanal bread or pita. Replace recipes that call for cream cheese, ranch or manonnaise with hummus for a healthier twist. Mix with guacamole, mustard or tapenades and more to come up with your own unique and healthy spreads. When you have a food allergy (or if you have several), or if you have special dietary needs, it can sometimes be hard to find foods you can safely eat. Thankfully, hummus is one of those rare foods that almost everyone can people can enjoy, seeing as how it’s dairy free, nut-free, gluten-free and completely vegan. Furthermore, if prepared at home, it follows a clean-eating diet plan, too.